Key Difference: LibreOffice is a free and open source office suite. It is developed by the Document Foundation. It has been designed for Windows, Mac and Linux. LibreOffice was forked from OpenOffice.org back in 2010. OpenOffice is another open source office suite. It comes under Apache license. Both have been derived from the same code, thus share many similarities. However, they differ in only some aspects. LibreOffice is a free and open source office suite. It is developed by the Document Foundation. It has been designed for Windows, Mac and Linux. LibreOffice was forked from OpenOffice.org back in 2010. LibreOffice has been recognized as a professional quality productivity suit. It comes with LGPL public license, which means that one is free to use and customize it. It has a simple to use interface. The software is compatible with most of the file formats. It provides a word processor known as Writer, Calc as a data analyser, Impress for multimedia presentations, Draw for building diagrams and sketches, Base as a database front-end of the suite and Math as a simple equation editor. It also comes configured with a PDF file creator. OpenOffice is another open source office suite. It is distributed under Apache license. One can choose from OpenOffice or LibreOffice, as both serve the same purpose. OpenOffice runs on Windows 95 or later, Linux, Solaris and Mac OS X. Originally, it was developed as a proprietary office by StarDivision. However, in 1999, Star division was acquired by Sun Microsystems. In 2000, Sun released the source code as open source. Later, Oracle acquired Sun and renamed the product as Oracle Open Office. 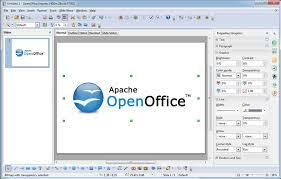 Later, the code of this software became the foundation of Apache OpenOffice project. It contains the similar components like LibreOffice (Writer, Calc, Impress, Base, Math and Draw). Both LibreOffice and OpenOffice have been built on the same grounds, and thus contain many similar features. LibreOffice gets more frequently updated than in comparison to OpenOffice. In context to recent versions (Apache OpenOffice 4 vs. LibreOffice 4.1), both differ mostly at a higher level. LibreOffice’s version has been able to include a support for controlling a slide show from an Android device. LibreOffice is considered to be a better handler of Microsoft Office files than in comparison to OpenOffice. 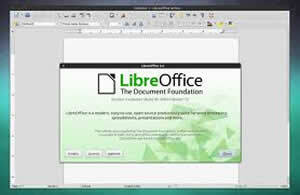 Libreoffice is an office suite, but it is developed by the Document Foundation. It is a free and open source suite.